Miami is a melting pot. An intricate, beefy, spicy stew of a city made up of people, cultures, and ideas from all over the world. And that makes it confusing as hell sometimes. That said, Miami’s diversity comes from its many neighborhoods, each of which breed a completely different line of Miamians. Fortunately for you, we’ve scoured through the Magic City and mapped out the different types of people you’ll meet while you’re there… and most importantly, where you’ll be most likely to engage with them in conversation. Where you’ll find them: Usually at Equinox. But now, Pawn Broker. These people are undeniably the most well-dressed humans in Miami. The guys smell like Tom Ford and own stock in pastel-colored Express shirts, and the girls have nailed the impossible sport of speed-walking in stilettos. Mostly NYC transplants, these work-hard-play-hard could-be models are usually some category of a lawyer, a banker, or something else that pays enough for them to live on Brickell. While walking from our apartments to our cars makes the rest of us look like a parched, sopping Ewok, Brickellites someone manage to walk down all of Brickell Ave -- in a SUIT -- and still look as debonair as they did when they left. On paper, these humans are seemingly perfect. They run to the gym -- for fun! -- and are the people your parents want you to marry. People in Coconut Grove don’t comprehend what it means to be stressed. How could they? They’re right by the water, can walk to Monty’s, and live in a jungle that was ostensibly formed by a music-playing, art-loving band of hippies. “The Grove” is a place where restaurants have dog menus, and where happy artists, friendly destitutes, and UM football players can drink cheap beer in harmony. Considering it’s also a place where major art festivals, street bed races, and unfathomable mango parades are the norm, it should come as no surprise that -- for the most part -- everyone really gets along. Well, except for the late-night crowd at the Sandbar. Or when UM loses. 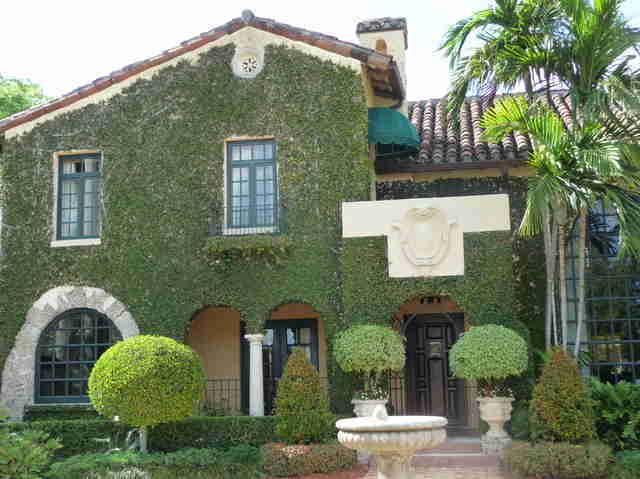 Fact: To live in Coral Gables, you must be somewhat affluent, own a home with at least six more rooms than you actually need, eat dinners with ingredients you don’t understand, drive nothing older than a vehicle produced in 2012, and only wear clothing spun from the finest silk. Coral Gables’ die-hards (read: anyone who lives there) will tell you that Coral Gables is the only place to live, which is both correct, and due to the fact that people who move there never, ever leave. Their families are the same ones you get those annoyingly perfect Christmas cards from, and also the ones you secretly want to be. In Homestead, time stops. Unlike the rest of this crazy city, it’s where laid-back farmers and native Miamians drive normal cars, live on big pieces of property, and say nice things like (gasp!) “Hello.” Much like the rest of us, though, they do hate Miami traffic, and because of this, will laugh at you if you ask them to drive north of Kendall. 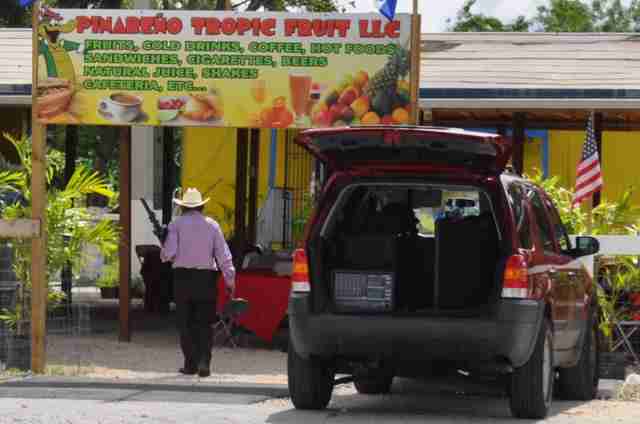 Walk in a house in Redland, and there’s a 99% chance a matriarch in a church volunteer T-shirt will start handing you mangoes and lychees her husband and kids diligently picked from their own grove. The rest of the family won’t be there though. They’ll be outside, selling the rest of it. Where you’ll find them: At their own home, probably having a getty. 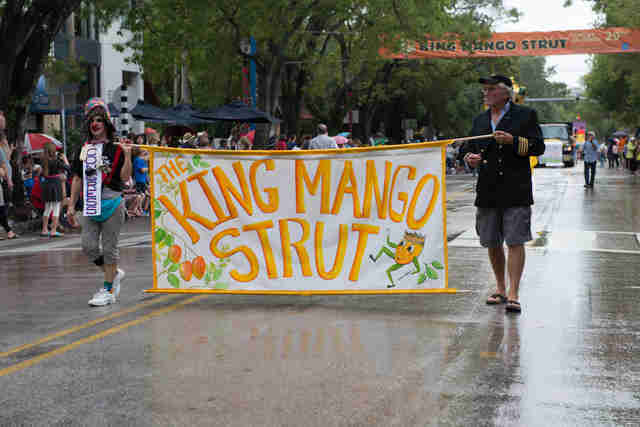 People in Kendall get a bad rap for being… well, in Kendall. But the truth is, they’re the heart of Miami. If someone tells you it’s an exciting part of town, it’s probably because they’re tired of living there and/or are trying to make it sound cool. That said, it’s more affordable than most of Miami, is a prime spot for 27-year-olds who just moved out of mom and dad’s, is the physical center of the city, and has every store or restaurant you could ever need, minutes away. No one ever wants to live there, but once they move there, KENDALL PRIDE, BABY! These are a mix of Brickell’s well-dressed “people who aren’t from here” and Coral Gables’ wealthy soccer moms. The difference: instead of New York, they’re mostly from South America, and instead of driving their kids to school in Range Rovers, they hire nannies. 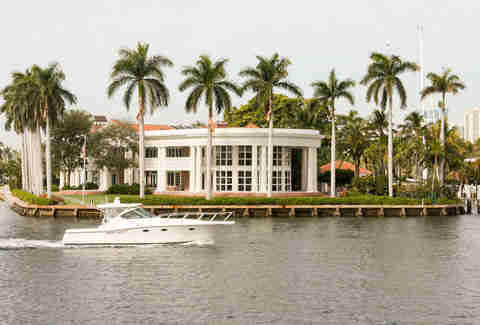 This area is both right on the water and one of the most exclusive neighborhoods in Miami, so residents have a lot of money to spend… but you’ll only know it when they invite you into their homes. Most of the time, you’ll find them hanging in Brickell, which is just as fancy, but has way more to do, because quite frankly, Key Biscayne is boring as hell. Everyone knows Miami has a huge Hispanic population, and nowhere celebrates that more than Little Havana. To find its people, just go straight to Calle Ocho. 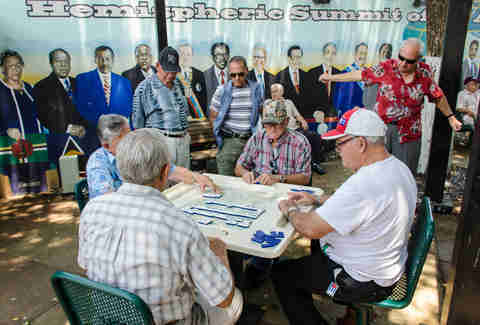 It’s a mecca of wise old Spanish women and men who will simultaneously teach you life lessons, roll the best Cuban cigar you’ve ever had, beat you at dominoes, brush their granddaughters’ hair, and force-feed you ham croquettas. They’ll call you things like “linda” and “niño,” and you’ll feel welcomed. They are sweet and loving, and without so much as a stare, they somehow manage to rule their family with an iron fist. Midtown is a piece of Downtown Miami on the outskirts of Wynwood. The Design District is what happens when some faceless developer finds a dangerous neighborhood, throws billions of dollars at it, and prays for gentrification. Both areas are super-small, blur into each other, and form a weird world where you’ll find moms who don’t work, young women who work to shop, millennials who work jobs with titles that make no sense, and people who could live in Wynwood, but also like big fancy paychecks so they can shop at Tory Burch. They straddle the line between mainstream and hipster, and are probably just as confused about it as we are. This is the primarily Jewish part of mainland Miami. There are as many delis as there are gas stations, and as many Ivy League lawyers and accountants as there are Jewish grandmothers trying to fix up their granddaughters in the checkout line at Whole Foods. On Saturdays, you’ll find men walking to temple, children being dropped off at Hebrew school, and wives and mothers lunching at BRIO with their friends. Moms drive white Toyota Highlanders, dads drive Infinitis. Both have those abhorrent “My kid is on the honor roll” bumper stickers, and will talk about their children all the time. All the time. 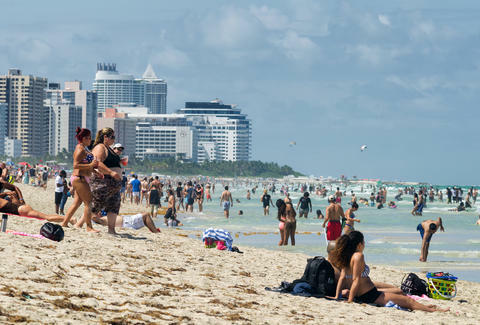 When most people think of South Beach, they picture wild pool parties, half-naked women, flashy cars, trashy tourists, and horrible traffic. And as a Miami native for the past 29 years, I can honestly tell you that that’s… totally accurate. BUT, those are mostly tourists or out-of-towners who moved there yesterday. 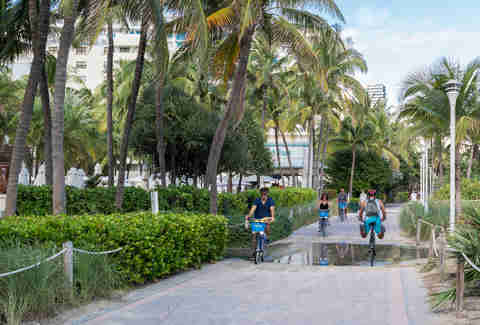 Wander down Collins Ave, and you’ll find that actual Miami Beach residents are sun-soaking, flip-flop-wearing free spirits who love a good drink and a better beach day. They pig out at Naked Taco and Big Pink on Saturdays, and eat acai bowls, go to Flywheel, and drink green juice on Sundays. They live on the sand, so shoes are optional, but they’re also a size 0, wear lululemon everywhere, and usually come with a Yorkie, so they look good doing it. If Miami had Burning Man, this is where it would happen. 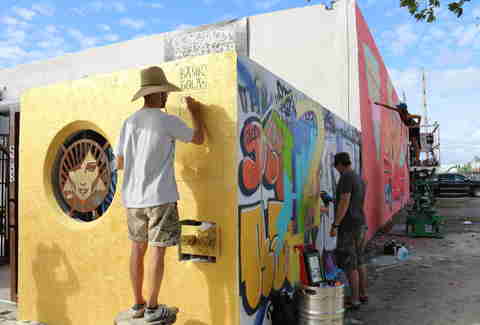 Ten years ago, Wynwood was a less-than-desirable neighborhood made up of drug dealers and outlaws. Today, it’s a slightly better less-than-desirable neighborhood of dreamers, chefs, activists, amazing restaurants, and 20-something artists who probably didn’t go to college, but also probably make more dough than your grandparents. People who live there are all about feelings, live in the moment, and believe there are only two things better than pot: acceptance and ZTB bread. In Wynwood, anything goes. Case in point? Not even Zika will stop people from going there. Jennifer Agress is a Miami-based freelance writer who used to live in Coral Gables, but now totally has Kendall pride.